With Earth Day approaching (April 22! 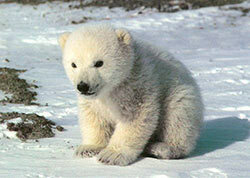 ), we should all stop and think about how we are giving back to our wonderful planet. If shopping is what you do best, then make sure your purchases really matter. In the beauty world there are some great new products I’ve discovered that really make a difference. The Glowology Believe Honey Bar is a yummy smelling body soap and 100% of it’s profits are donated to Noodle & Boo’s Raise Your Hand Campaign. As you cleanse your body you are actually helping to purify water for children in Africa. Mass brands like Curel have gotten in on the action as well. When you purchase a limited edition of their Continuous Comfort Original Formula Lotion you can learn about their partnership with the American Red Cross helping people after natural disasters all over the globe. They are donating $250,000 and you can help too by visiting their site. Smashbox Cosmetics is introducing their Mother Earth Palette, which is a made from all completely organic material housed in a recyclable compact made from sustainable materials and printed with eco-friendly ink. They are not messing around! 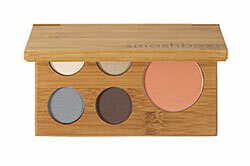 The palette contains four eye shadows and a blush and with each purchase a tree will be planted by Trees For The Future. So you see when beauty companies are making it this easy to look good and do the right thing how can you not!